ST. LOUIS (CN) – The Los Angeles Rams won the latest round in an ongoing legal battle against former St. Louis season ticket holders after a federal judge declined Tuesday to decide the case in favor of fans who bought personal seat licenses. After moving to St. Louis in 1995, the National Football League franchise charged fans wishing to buy season tickets a personal seat license, or PSL, giving the owner the right to buy season tickets for a certain seat in the stadium. An entity known as FANS Inc. sold the PSLs from September 1995 to March 1996. After that, the Rams sold the PSLs themselves. 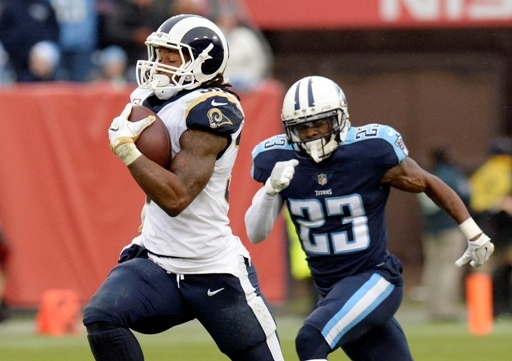 The Rams’ announcement that they were moving to Los Angeles in January 2016 prompted a series of lawsuits from St. Louis PSL holders seeking damages for breach of contract. Those cases were consolidated into one class action. Ronald McAllister, who in a separate ruling Wednesday was named lead plaintiff on behalf of all the PSL holders, bought his PSL from FANS Inc. He claimed in his lawsuit that the Rams had terminated the PSLs, thus triggering the team’s contractual duty to refund deposits that the Rams had received pursuant to the contracts. The PSLs sold by the Rams require the team to use “best efforts to secure tickets for seats at games where the transferred home games are played,” according to court records. In September 2016, U.S. District Judge Stephen Limbaugh ruled that the “best efforts” obligations expired along with the FANS contract upon the Rams’ move to California based on a clause unique to the FANS contract. The judge ordered the team to grant season tickets to some fans who bought PSLs while the team was in St. Louis, and refund deposits for others who bought the licenses. Limbaugh found that fans who bought PSLs directly from the Rams were entitled to buy season tickets even with the move to Los Angeles, but those who bought licenses from FANS Inc. were not entitled to season tickets, because the FANS contract states that it is terminated in the event of relocation. The Rams moved to reconsider, claiming they were not a party to the FANS Inc. PSL contract. The court granted the motion, opening up the question once more. McAllister responded by filing a motion for summary judgment on the matter of the Rams’ obligations under the FANS Inc. PSL contract, claiming that FANS Inc. was acting as the Rams’ legal agent and the Rams were the successor-at-interest to the PSL agreement. The Rams, on the other hand, argued that FANS Inc. was solely an agent for the St. Louis Convention and Visitors Commission, or CVC, not an agent for the team. The NFL franchise filed a third party complaint against the CVC for contractual indemnification, including with respect to the FANS PSLs. That matter has been referred to arbitration, court records show. On Wednesday, Judge Limbaugh denied McAllister’s summary judgment motion after examining the principal-agent relationship regarding the FANS PSL contract. For McAllister to show that FANS Inc. was an agent for the Rams, he had to prove the agent holds the power to alter legal relations between the principal and third parties; the agent is a fiduciary with respect to matters within the scope of the agency; and the principal has the right to control the conduct of the agent with respect to matters entrusted to the agent. McAllister claimed that the Rams gave FANS Inc. the power to alter legal relationships between the Rams and third parties, but the judge disagreed. As to the second factor, the Rams argued that FANS Inc. could not have been the team’s fiduciary because the Rams lacked control over the company’s actions. The Rams also successfully argued that, although they had a contractual relationship with FANS Inc., there was no principal-agent relationship. McAllister’s St. Louis-based attorney, Tony Bruning, said in an email that his client was pleased with being named the class representative on behalf of the PSL holders. The lead attorney for Rams did not immediately return an email early Wednesday afternoon seeking comment on the ruling.